Sometimes “life” happens and can create a bit of disappointment which is harder to deal with around the holidays. But one thing we should never lose is HOPE and positivity, not just around this time of year, but everyday. 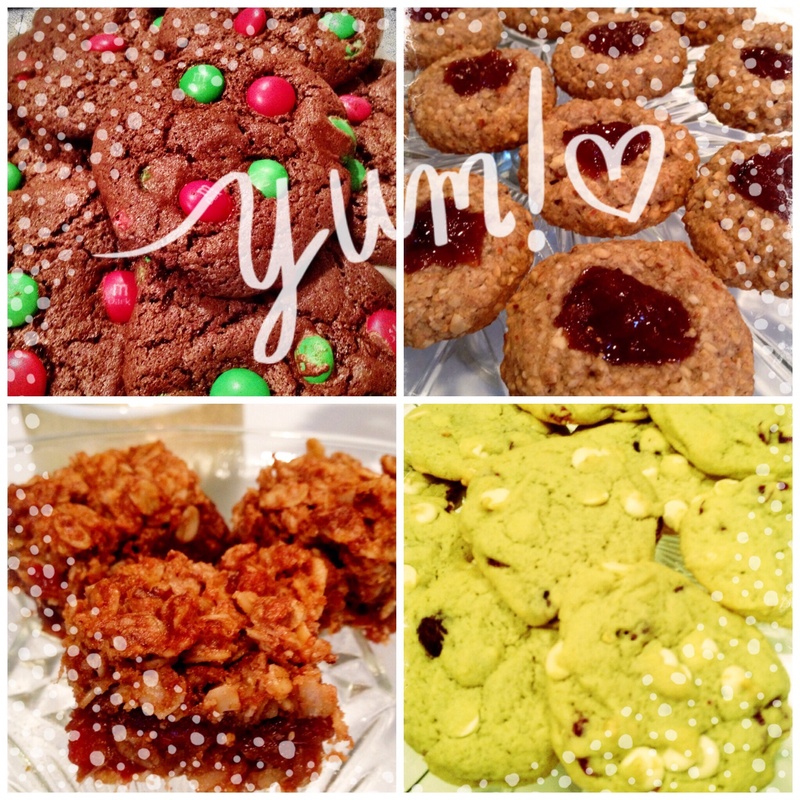 With that said, here are 4 of my favourite cookie recipes that are sure to brighten up any day! Preheat oven to 325 degrees F. In a medium bowl, whisk together brown rice flour, cocoa powder, baking soda, and salt and set aside. In a medium microwave-safe bowl, place the chopped chocolate and the butter. Microwave for one minute at power. Stir. Microwave again for one minute at power and stir well. If the chocolate is not fully melted, continue microwaving in 30 second intervals. Let the mixture cool slightly, about 2-3 minutes until it is at room temperature or just slightly warm. In a large bowl, combine the chocolate and butter mixture, sugar, eggs, and vanilla. Mix on medium speed until combined. Gradually mix in flour mixture on low speed. Fold in M&M’s with a wooden spoon. Line baking sheets with parchment paper. Drop dough onto baking sheets by tablespoonfuls spacing them about 1 1/2 inches apart. Place four or five M&M’s on top of the cookie dough balls. Bake the cookies until they have slightly flattened and there are a few cracks on the surface, about 13-14 minutes. The cookies will still be soft. Let the cookies sit for 2-3 minutes on the baking sheet before removing them to a wire rack to cool completely.